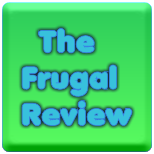 FRUGAL REVIEW: Samples, Sweepstakes and Coupons! Free Loaf of Eureka! Organic Bread Coupon! Free Pair of Mack's Ear Plugs - Every Weekday! Win 1 of 5,000 Free Purina Pet Product Coupons! Dog Product Coupons, Free Samples & Sweepstakes!